Well that was just what the doctor ordered: high tempo, crisp passing, fine combination football and the stars of the show shining at their brightest! Not much time, but here are my eight positives of the game. Ozil and Sanchez’s energy and creativity were too much for Zagreb: three goals and one assist between them is a very good return for all the hard work. Seeing Ozil score almost twice with his head tells us a lot as well. He is making more runs into the box now to be at the end of a chance rather than only creating them, and that is just what we need currently, as we have been lacking goals from central midfield. Nacho was awesome, both in defence and in attack. A great assist for Sanchez’s first goal, but he could have had more. What a great wing-back we have in Monreal. Giroud worked hard to create space and chances for others. He did not score this time round, but he carries so much goal-threat that defenders have to stay with him, and this opened them up for sharp-shooter, Alexis and smooth operator, Ozil. The Flam-Car DM pivot worked well tonight: they bossed the midfield defensively and made good contributions offensively. Santi offered a lot creativity and pushed the team on from the back: he had a really good game. Campbell had a great assist and had some good spells, especially at the start of the game. Like the Ox, he tends to drift in and out of the game – the very opposite of the continuously driven Alexis – but he produced the goods when it mattered. Bellerin had great drive once again and as a result we could use the whole width of the pitch. We were really strong from the wings today and this is due to the creativity, drive and speed of the full backs and our ‘midwingers’ Alexis and Campbell. A clean sheet was very welcome, even though our defending was not always top notch. Something to build on now, and I hope Arsene will play the same back four and Cech against Norwich. The return of Ramsey was very welcome. He clearly looked rusty but coming on with no pressure and just being able to ease himself back into the first team will have done him good. In hindsight, I am glad Wenger did not start him. Man of the match was SanOzil: both Sanchez and Ozil were magnificent and it would be wrong to choose between them on tonight’s performances. Cech: 8 | Solid close save at the end of the game/ calm and in control. This entry was posted in Uncategorized and tagged Champions League, Match Eight Positives, match report, player ratings. Bookmark the permalink. I have yet to watch any highlights or the full game so i am not able to comment on anything, but your match report sums up how we outclassed our opponents at home. Seeing your headline, i thought that you would give Nacho a perfect 10, but reading on i was wrong. So some editing needed? Speedy fine post. Thanks TA. The boys travelled in a car not fitted with a hand brake. That’s my dream car. Great that the absence of le Coq wasn’t felt. Maybe with Flam, Chambers and a sprinkling of Arteta we might be able to get by in Coq’s absence. When I close my eyes I do see Chambers as much better at DM than at CD. If fact my vision says he will make a quality DM. Don’t get me wrong – a half dozen more class DMs is very compatible with my appetite. I must confess l never knew I would ever see this level of quality from Camp B. One area where am fully convinced Wenger is so much greater than me, is in his patience v mine. I get trounced each time. Last night’s game has resuscitated my hope. Am l fickle? Not for being up today, but for being down before the opening blast of last night’s whistle. Chambers as a DM is a work in progress for me. Can he be as athletic and dynamic as Le Coq? What Santi does for the team, imo, is so much more than is generally appreciated. When he has a bad day (which isn’t often) the performance of the team drops more dramatically, than when any other player has a poor outing. He is the soul of our team, the orchestrator of our play. I will rate him 9 for last night. May the treatment table never smell him. Unconsciously we might now all be modeling the ultimate DM in the image of le Coq. Chambers looks to me as a half-destroyer-half- creator kind of DM……… and that would be a hell of a package. Chambers as a DM will be good for his career growth. However, it would be bad for Hayden as he is the second young player behind Le Coq. Flams is good but he is more of a CM rather than DM. TA, 8.5, yes, is good enough, considering the goal scorers are only 0.5 points ahead. However, why is he missing 1.5 points? PE, many Gooners rate Santi as high as you do. 17HT, for example, is a huge fan. I reckon he adds value to the team but I am not sure whether we could do better in his position. He adds creativity and threat going forward, but his defending is not great and he doesn’t seem to score for us anymore.. I reckon that position belongs to Jack or Aaron long term. I agree with you about Santi being a poor tackler. But remember that in that area of the field good positioning is already half of the defending. Rambo is a better tackler but as a defender he is rather too keen to get involved with play and that reduces his positional discipline. Again, high pressing is so much part of the modern game and Rambo hasn’t got Santi’s quick feet for handling tight spaces. Jack has, and that is why, for me, it is a choice between Santi and Jack. I see Rambo as a player with pure offensive mentality but whose stupendous engine and love to be involved makes him available to participate defensively. That is how I will wish him utilized. Any position in the MF front 3. Best at No. 10. But Ozil is there at the moment. Rambo is not a finished article yet, and playing him wide right might help in giving him more positional disciple which is about the weakest link in his game. Finally, when they did move forward we broke on them with incredible ease and got the two goals. It’s tougher than all that, of course, and you do very well to point out Giroud’s really fine work off the ball. His run to the near post left Messy (Ozil) wide open for the first goal, for example. PE, for me it is Aaron’s allroundedness that makes him so suitable for the box to box midfield role next to the more traditional DM. His engine is key here, and his ability to defend weighs more than Santi’s superior ability to wiggle out of tight spaces imo. Santi relies a lot on his fellow central midfielder to do the DM work, whereas both Ramsey and Jack can hold their own. From a creativity point of view it works brilliantly of course, as Ozil has a real companion in Santi when it comes to making the play. Agreed Zagreb did not offer great resistance, even though they started brightly. I thought the high tempo and desire to win this game helped to make it look easy. Both Ozil and Alexis were the drivers for this, supported by the wall of FlamZola and the fab full backs. Key was also to score the second so soon after the first one. I don’t think Wenger will rotate in the CL when the pressure is on, especially at home. These games are big events for the main sponsors, especially those that pay for the boxes, and the big guns need to be on display. I buy your idea of our getting more radical with out tactics at least between now and the January window. Your suggestion of ” essentially a 3rd CB ” excites me. The CoCa combinations was more of a destroyer/creator combo. Essentially that was 3 CB, only that one of them was slightly ahead shielding the other two. 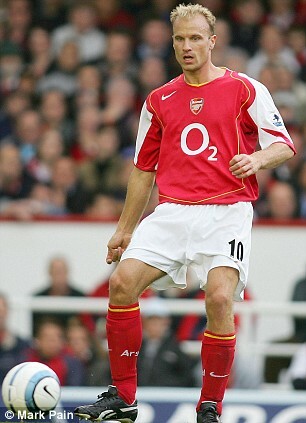 This system was successful because of one man ~ Santi Carzola. That man is still very much around and that is why I believe that Gab or even Chambers can be effective as our DM at least in the interim. Brake up the play and simply hand the ball over to the little magician. TA, there isn’t the slightest doubt about Rambo’s allroundedness. But mentality wise he is an attacking beast. That is why I’d rather he is positioned in a more offensive territory with his huge engine overflowing into the more defensive areas instead of the other way round. All good arguments, Seventeenho. I appreciate the importance of the traditional DM stuff a bit more, I think. Re Ramsey, even if he loses the ball, he is usually quick, canny and skilled enough to retrieve it. Santi is a better passer of the ball, especially through balls (although Rambo can do this too), and that is why he is picked right now. And Rambo is a better mid wing player than Santi, so Wenger has everybody as happy as he can get them. 17ht, did you get my email te address? Please can you email this to me? Tactical master class on defending – all over the pitch – by Cocu in Manchester. 17HT, what do you know about Cuadrado the Mexican midfielder? Thanks. He really impressed. Both technically and tactically he was superb: best player on the pitch. Schneiderlin on the other hand played well below par. Guys, i am not sure if Van Gaal is the manager that brings the best out of his team. I forsee another massive exodus of his midfield players unless he gets the tactics right, and the players play what they do best. Yes, we have similar issues, but most players are comfortable with how we play and they even tried different positions that helps lift the team. So something is lacking there? Ok, i do not like looking at manu** and the team, so i am open to opinions. Van Gaal is killing his career and we could really do with a player of his quality right now…. Total, what do you think of Strootman?